Dried beans are a truly versatile kitchen staple that everyone should have in their pantry. Not only do they keep pretty much indefinitely, but they're actually extremely easy to cook and customise to create super tasty, inexpensive meals. The thing that usually puts people off dried beans is the soaking. 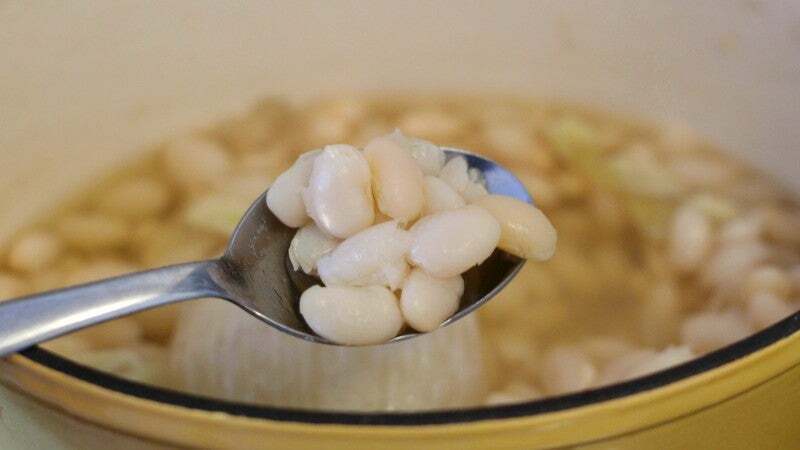 Soaking beans before cooking is recommended to remove some of the sugars responsible for beans' infamous digestive issues, and it's also said to reduce cooking times. It's not the act of putting beans in a bowl and covering them with water that's the hard part, but remembering to do it the night before you want to cook them. Does this mean that the more forgetful among us must resign ourselves to a life of eating canned beans? No. As with anything, there are ways around this problem, which we will get to in a moment. Besides time management, there is also that delicate matter of digestion. 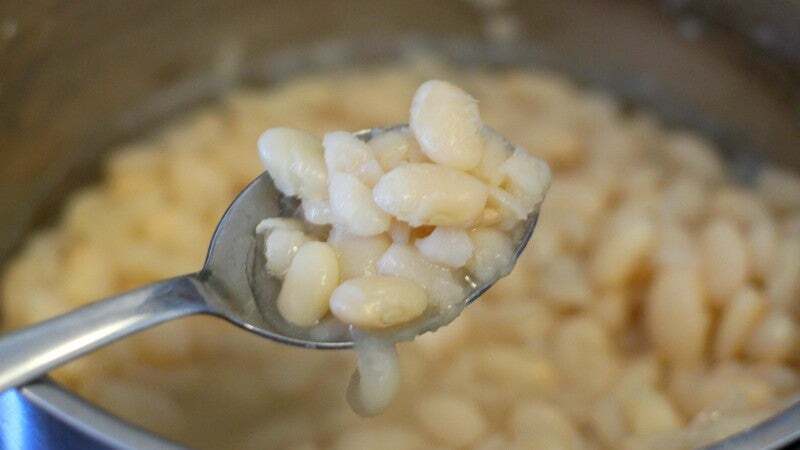 Though conventional wisdom suggests soaking your beans for a long period of time not only speeds up the cooking process, but helps reduce gas, most of the data supporting this is anecdotal. However, if you've noticed that soaking your beans for a long period of time helps to stave off tummy trouble, then soak away my friend. The Quick Soak: This is for the home cook who knows they want beans at least a couple of hours before they plan to eat them. Rinse your desired amount of beans, then add them to a pot of water, using a ratio of three cups of water for every cup of beans. Bring the beans to a boil, let them cook for two minutes, then cover the pot, remove it from the heat and let it hang out for an hour. The No-Soak: You don't soak the beans at all, just rinse them. I then cooked five batches of beans: three on the stovetop, one (unsoaked batch) in the pressure cooker and one (unsoaked batch) using a stove-to-oven method, which we will cover in a bit. 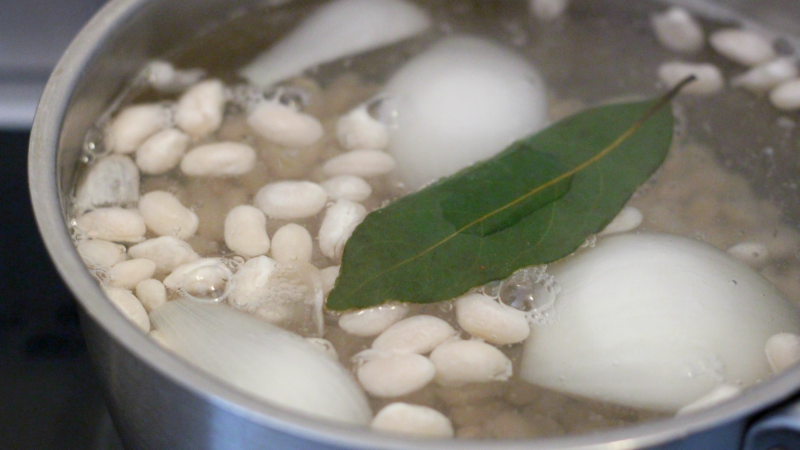 No matter how long you soak 'em, cooking beans on the stovetop is very easy. 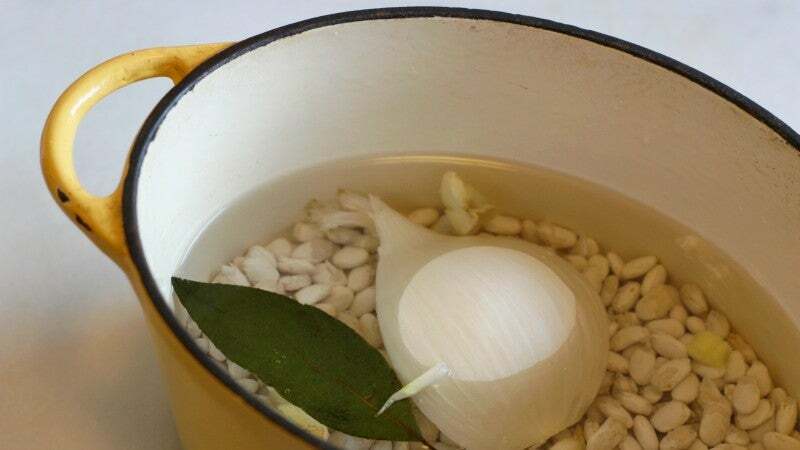 After the soaking time (or no time at all) has elapsed, simply drain them, rinse them again, and put them in a pot with some aromatics (bay leaf, onion, garlic, maybe a ham bone), the same amount of water you used for soaking, and 1/4 teaspoon of salt for every cup of beans. Once the beans were cooked, I gave them a taste. They were virtually indistinguishable. All three batches — including the beans that were not soaked at all — were tender, well-flavored, and fully cooked. Like stovetop cooking, pressure cooking is extremely easy. 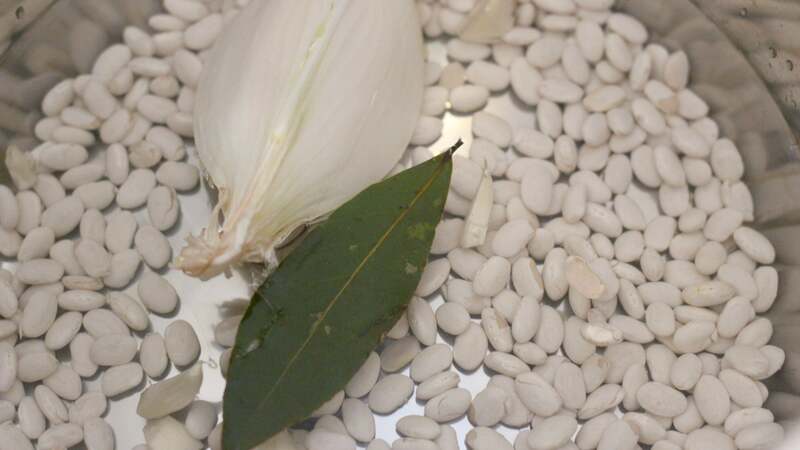 Once again you'll rinse your beans and, using a ratio of 3 cups of water for every cup of beans, add them to your pressure cooker, along with your desired aromatics. The amount of time you cook will vary from legume to legume. This chart breaks it down for stove-top pressure cookers and, for those of you with an Instant Pot, this PDF will prove to be very helpful. 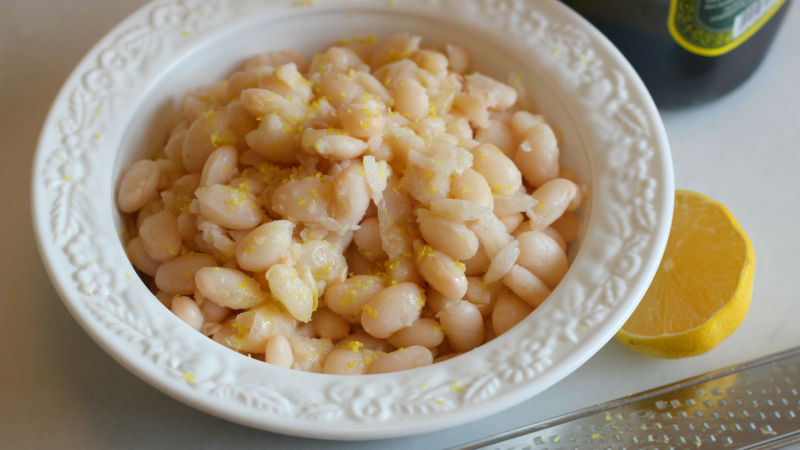 In terms of texture, the no-rinse, pressure-cooked legumes were firmer and more toothsome, but still completely edible. 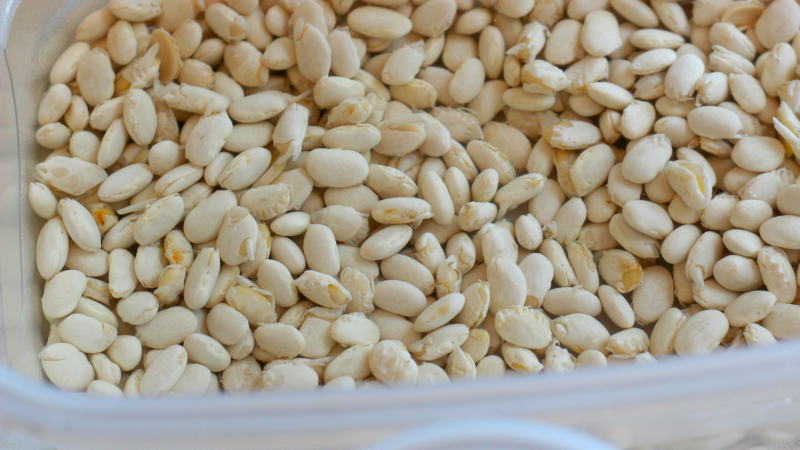 In fact, some of you may prefer this texture, I enjoy a very soft, almost creamy bean, but the no-soak pressure cooked beans actually hold their shape a little better. Finally, I tried this 90-minute no-soak method form the Paupered Chef. Using the same water ratios and seasonings as I did for all other batches, I dumped everything into a small Dutch oven, brought it to a boil, then covered the pot and place it in a 120°C oven for an hour and 15 minutes. As you can see from the above photo, these beans kept it together quite well. They were just as flavorful as any other batch, and they had a texture that was somewhere in between the pressure-cooked and stovetop-prepared batches. In fact, some might go so far as to call them "perfect" as they were nice and creamy on the inside while still offering the smallest amount of resistance when bitten into. However you choose to prepare your beans is up to you, but know that you don't have to pre-soak them for them to turn out ok or, in the case of that last method, pretty freaking perfect. Once your beans are cooked, you can use them exactly as you would canned and add them to soups, chilli, stews, or just eat them on their own.